Rimrock Trade Center is a family owned and operated RV Dealer with over 55 years of experience in the RV sales industry. Our RV Dealership is in Grand Junction, Colorado, conveniently located between Salt Lake City and Denver. We feature a wide selection of New RVs and Used RVs for sale, including Motorhomes, Fifthwheels, Toy Haulers, Trailers, & Truck Campers. Have an RV you would like to sell? Let us help you. Consign it with us and we'll do the work for you. Does your RV need parts? 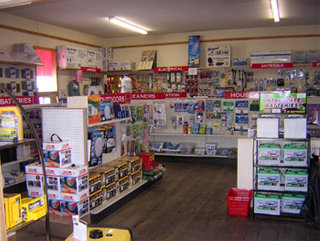 Our RV Showroom has photos and details to make your online shopping experience easier. Experience our no pressure RV sales staff and find out why Rimrock Trade Center is the best Colorado RV Dealer today! Bring it to our parts department at our primary location located at 2541 Hwy 6 & 50 and we will take care of your trailer or motorhome!